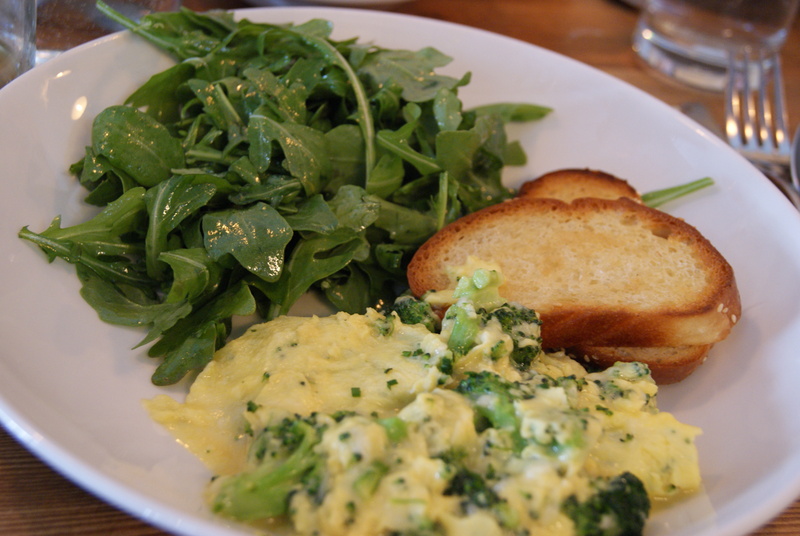 Whether it was the Napa Valley charm or the assortment of pastries laid out on the long wooden, rustic table, I felt like I was dining in my own kitchen when enjoying brunch not too long ago at Puritan and Company. Well lit, with subway tiles along the walls, bright flavorful dishes, and a knack for hitting that sweet spot with their renowned pastries, P&C as I’ll call it, is not to be overlooked. I had the honor of joining the lovely Boston Brunchers for an afternoon out, where they (much more knowledgeable than me) quickly filled me in on Puritan & Co’s philosophy, mission, and values. Definitely a New England style menu mixed with ethnic styles and flare, combining the elements of farm to table, all within a cozy restaurant located in Cambridge. There is an excitement and passion that can be felt through the menu choices, which included Sourdough griddle cakes, wagyu steak, and a coppa ham sandwich. All of their eggs come from Pete and Gerry’s, an organic farm in NH that produces eggs that I soon discovered can’t be beat! 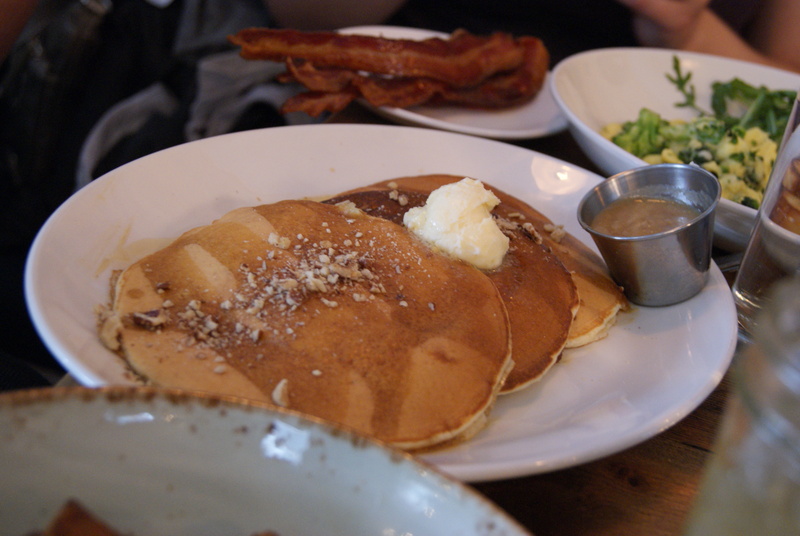 Add in flavors such as honey butter, creme fraiche, and applewood bacon, and mmm-mmm good is what we’ve got at P&C. 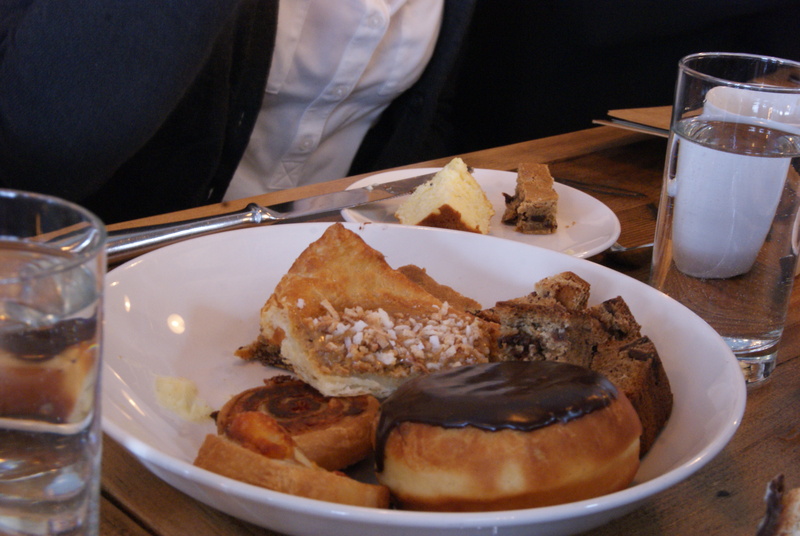 We were first greeted with their pastry assortment, all of which we couldn’t get enough of! Banana bread, Boston Cream donuts, blondies, and a ham cheese pinwheel to name a few. I tried one of each of course and settled on the dulche de leche and coconut danish. My taste buds were more than delighted. I ultimately went with the cheddar and broccoli scramble for my main dish seeing as brunch cannot be complete for me without some vegetable and protein. Though a little too oily and fatty to my liking, I did enjoy the side of arugula salad that came with it. It was refreshing and light and complemented the heavy scramble. I also enjoyed one of their “sunday sippers,” the Park Ave, which was just a tad too strong for my liking. I am always one for a mimosa but wanting to venture out of my comfort zone a bit, I chose this drink instead. Looking back I would have stuck to my guts and chosen the house mimosa and the Corned Beef Hash or ham sandwich, which were out of this world. The chef came over after and mentioned to us that the beef is cured in house (no wonder it was so tasty!). One of my favorite aspects about the brunch was the lovely toast that was served with most dishes. It was either grilled in butter or cooked with butter because it had such a nice flavor to it. I don’t indulge in white bread often, but the slices were small and too good to pass up! You can tell that Puritan & Company strives to be unique and unconventional while also mixing in the comforts of New England fare, very similar to the atmosphere you will encounter there. Their cozy, warm, and friendly environment is what allows you to feel comfortable enough to venture out of your typical culinary food and beverage preferences, once again combining the elements of new and old. The whole experience was truly something special and I enjoyed chatting with the bloggers. Whether we had been here or not before, we all seemed to appreciate their attention to detail, flavor, and color combinations on the plate. Located in the Inman Square area of Cambridge, Puritan & Company’s menu truly fits the description of that neighborhood in being diverse and community-oriented. Oh- and you can’t overlook the eccentric bathrooms, with the sinks being located side by side OUTSIDE of the restrooms! Talk about unconventional. 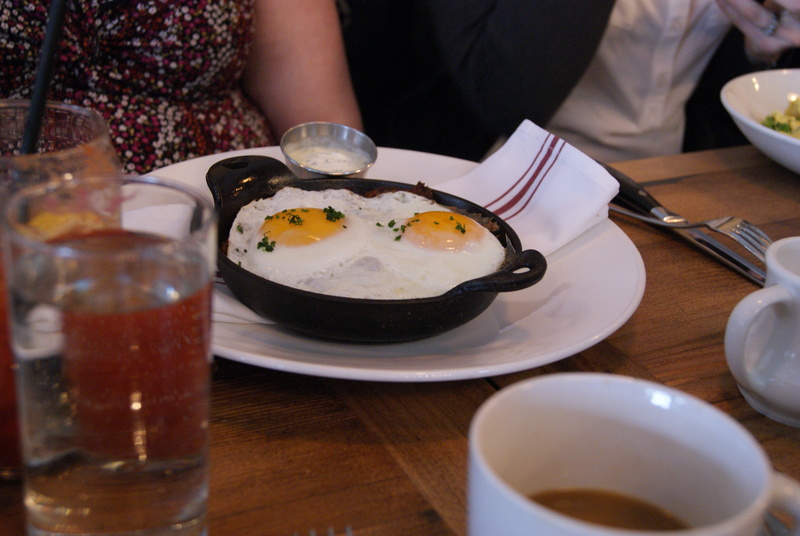 Special thanks to Puritan & Co. for providing this brunch free of charge to the Boston Brunchers. All opinions are my own.